Everything a doctor in training needs to get started in one storage case! 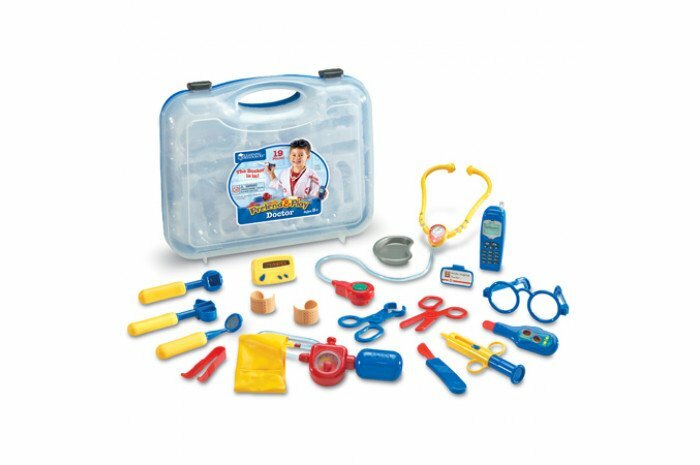 An award winning, highly rated doctor role play kit for ages 3+. 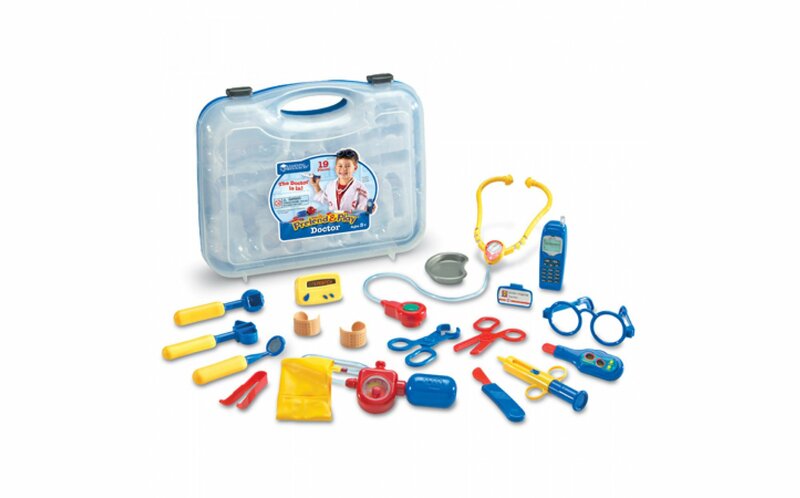 Set features a battery-operated stethoscope, pager, and cell-phone (phone requires 2 AA batteries, not included. Includes batteries for pager and stethoscope). Also includes forceps, bandages, thermometer, fun blood-pressure gauge and much more! Everything fits into a plastic, clamp-tight case.